I found my sitting dog pattern. 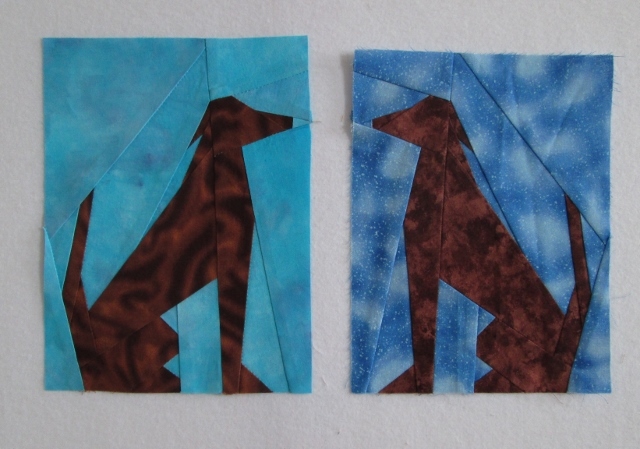 I designed this paper piece pattern many years ago and wanted to remake the dog. I am planning a binder cover for my dog journal. Lex is a Brown Chesapeake Bay Retriever. I have been busy with the a one line dog training course and they tell us we should journal every day about our work with the dog. I want a fancy cover for my binder. On the right is an old block that is needed in a UFO quilt. I have the old UFO quilt mostly designed but not sewn together. I did not want to just steel the block. Now the new dog will face the opening of the binder. 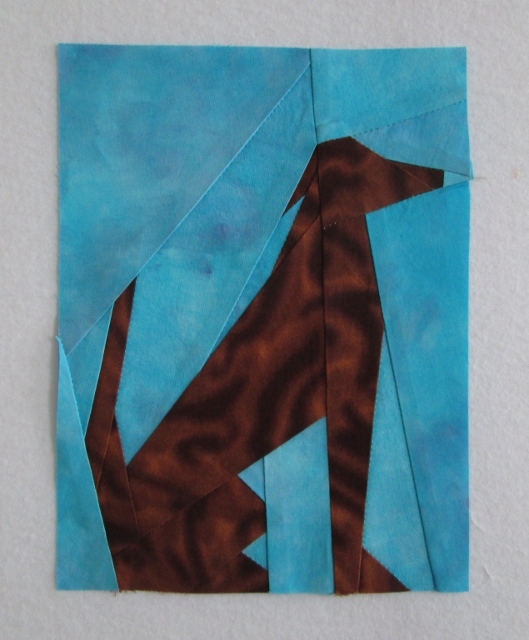 Judy over at Patchwork Times hosts Design Wall Monday. I have added today's post to her linky party. I have also been working on my Easy Street blocks. But I quickly ran out of the four patches. I changed them from grey to pink and I thought I had made enough ( the stack of square looked big enough) well I needed 68 more. I just did not make enough. Also had to cut more lime green squares. I must of only made half the number of required units on some steps. What was I thinking. I hope that is all I am short of. Love your dog! And love that you are making a lime green, pink, and black & white quilt? One of my favorite combos is pink, yellow and lime green. Love your doggie block. 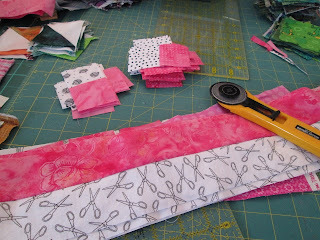 Bummer on running out.... maybe you can add some more fabric in lime?